The numbers in the last row are particularly impressive! 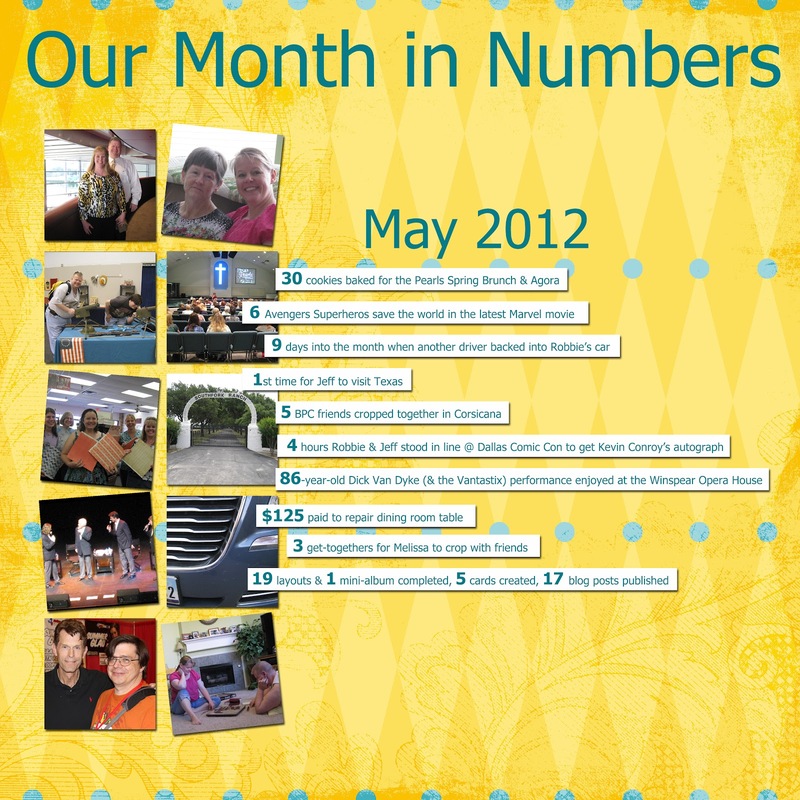 Great layout design, and I agree with Rinda, impressive numbers on the creative tally! I always enjoy your months by the number post. Looks like you were very creative this month. Gosh, you are so busy ... and productive! It sounds like a fun and productive month. I enjoy seeing these numbers layouts. It could be the accountant in me.